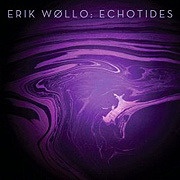 All about the pleasure of music, Echotides (43'11") was Erik Wøllo's outlet for a remarkable reserve of intellectual and manual virtuosity. Inhabiting temperaments on the verge of freezing, the seven tracks lodge in the ear and stay with the mind. Cascading melodies and consonant harmonies gently mix with atmospheric subtleties in a lush electronic treatment of contemporary instrumental music. Muted rhythms and soft percussion loops easily cycle amid Wøllo's ethereal guitar lines - his plucked, strummed and e-bowed strings softly converted into concentration zones of a stopped world. The compositions then wind out in lively propulsive scenes - each of which leaving an invisible train of chilled air in its wake. Wøllo effectively translates impulses into arctic explorations of the earth and of the mind, but each listener will have their own individual interpretation of Echotides. 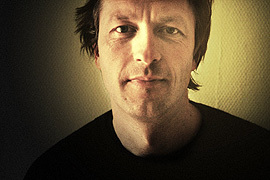 For Erik Wøllo success is a simple measure of dedication to his artistic path. The beauty of his life in music is that every moment is a phenomenon described in a way that is both precise and deeply felt. With each release he becomes sharper and more confident. At the extreme high end of his skill set, Erik Wøllo offers an explanation of what it means to be human. The slow advance of modern culture seems to have been paid for by a reduction in our humanity, which is so gradual that we barely feel it fading away. All of us hold deep within ourselves the idea of myth, and Wøllo's epic realizations offer us a means to connect with this forgotten fundamental feeling.